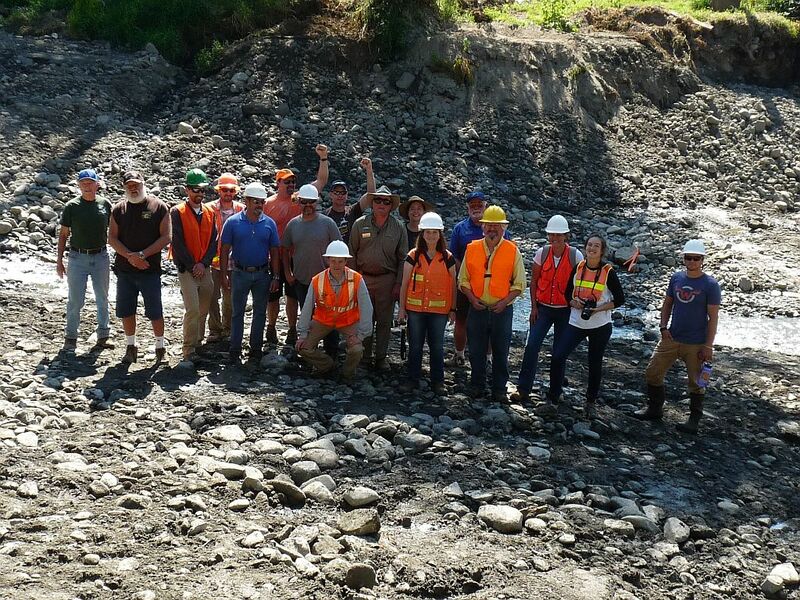 In late 2015, our Freeways for Fish Initiative surpassed our original goal of reopening 1,200 miles of historic fish habitat in the Rogue River basin, and, at the same time, we expanded our work to engage drinking water providers and small towns throughout the Pacific Northwest in headwaters restoration. We made this video to celebrate our accomplishments from the past 12+ years and to formally launch our new Working Waters Initiative. It’s one way to get the message out that our water management tool box should include much more than concrete and chemicals. By recovering nature’s capacity for providing clean water, we create economic, public health, and environmental benefits that traditional “gray” solutions can’t offer. 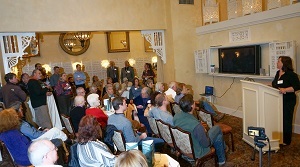 Earlier this month, Geos Institute threw a party to celebrate the reopening of over 1,200 miles of native fish habitat in the Rogue River basin. The March 11th event marked the close of our 13+ year Freeways for Fish Initiative and publicly launched our new Working Waters Initiative. Fourteen years ago, native fish had a really hard time accessing some of the best habitat in the Rogue River because of various obstacles – dams on the main stem and irrigation diversion dams on many of the tributaries made it very difficult for native fish to find good spawning and rearing habitat and to get to cool water when river levels were low. 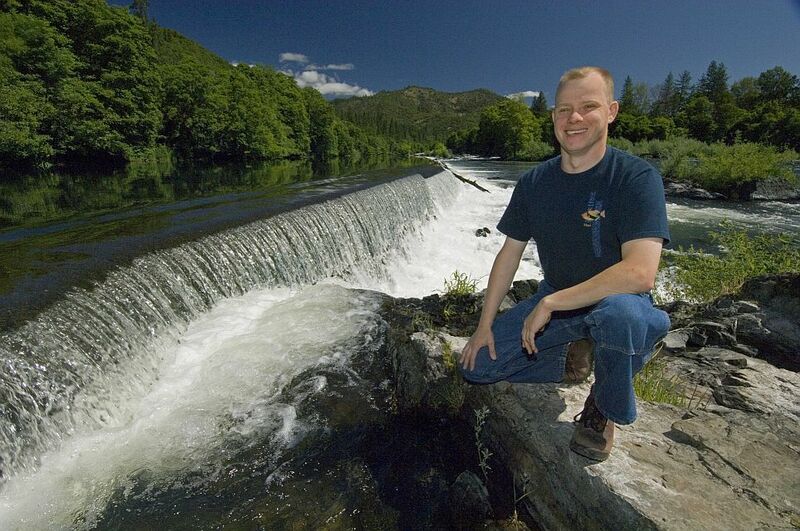 Brian Barr and Dominick DellaSala hatched the idea of a campaign to open access to high quality habitat across the Rogue basin for native fish by removing the dams and repairing fish ladders that were making it difficult or impossible for fish to pass. They completed a science assessment to identify the top priority barriers to remove, set the goal at reopening 1,200 miles of habitat for native fish, and Brian Barr set out to get the projects done. The nonprofit sector isn’t always known for taking the time to celebrate accomplishments. I’m not sure if it’s because the problems we’re trying to solve in the world are so difficult and daunting, or if it’s because we’re so busy, or if there’s something else at play, but with the advent of a new year, I’d like to rectify this oversight. Whether the change we seek in the world is incremental or transformational, positive and productive outcomes are worth sharing. Surpassed our 1,200 mile goal of reopening access to historic, high-quality habitat for native fish in the Rogue Basin! Helped remove two of the top ten worst fish passage barriers in Oregon: Wimer and Fielder dams on Evans Creek, a tributary to the Rogue River. Transitioned our successful Freeways For Fish program to focus on municipal watersheds. Launched the Drinking Water Providers Partnership with the Forest Service, a coalition that also includes the Oregon Department of Environmental Quality, the U.S. Environmental Protection Agency, the Washington Department of Health, and the U.S. Bureau of Land Management. 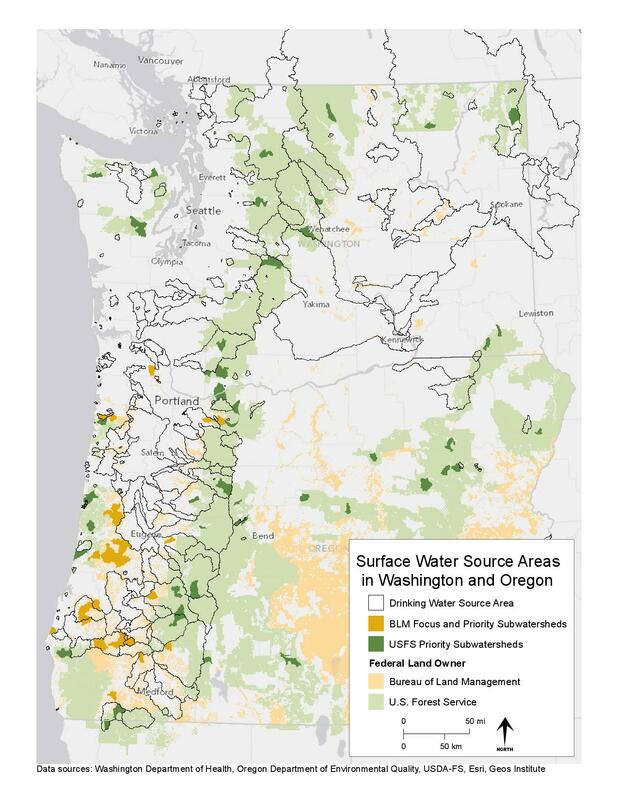 Announced the first call for grant proposals under the Drinking Water Providers Partnership, and received 20 applications for source watershed restoration and conservation projects in Oregon and Washington. We anticipate awarding up to $660,000 in early 2016! Earned a seat on the Environmental Protection Agency’s National Drinking Water Advisory Council. We are happy to announce that the Drinking Water Providers Partnership (DWPP) is now inviting project proposals for 2016. The DWPP is a new collaboration of Geos Institute, USDA Forest Service, Oregon Department of Environmental Quality, Washington Department of Health, U.S. Environmental Protection Agency, U.S. Bureau of Land Management, and WildEarth Guardians. Together, we are pleased to present this watershed restoration funding opportunity for drinking water providers and watershed restoration practitioners in Oregon and Washington. In 2015, Geos Institute’s Freeways for Fish program surpassed its long-term goal of restoring native fish access to over 1,200 river miles in the Rogue River Basin. 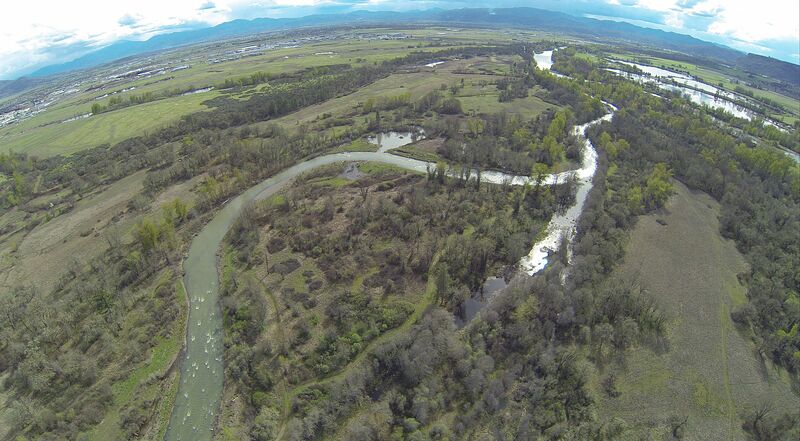 By healing damaged habitat, removing outdated infrastructure, and restoring natural water flow patterns, the Rogue River Basin and its salmon are now better prepared for the impacts of climate change. Surpassing this restoration goal also marked an inflection point for us. As we helped recover native fish habitat over the past thirteen years, we discovered that towns and water utilities were also reaping the benefits of cleaner water as a result of our projects.